Surreal. 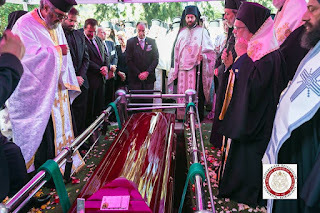 That's how it felt to watch the funeral of Archbishop Stylianos Harkianakis in Sydney, Australia, live via YouTube this past Saturday while sitting in Northern Greece. On the one hand I was heartbroken to hear that my forever friend had left us on March 25th -- but on the other uplifted by the fact that he passed away on Greek Independence Day and the feast day of The Annunciation, coincidentally the name of both his church in Sydney and mine in North Miami. I am not a super-religious person, but it was a lot to take in. It also brought back many memories of precious time spent with His Eminence when he was Abbot at the Moni Vlatadon in Thessaloniki circa 1970; things were a whole lot simpler then. Next he was unanimously elected Exarch of Mt. Athos, and in 1975 made Archbishop of Australia (Exarch of Oceana). 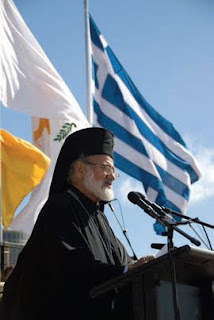 A brilliant theologian/writer and charismatic leader, he was at the time only 40 years old! A Facebook post reported that his nephew Nikos Kaliouris -- now a lawyer in Athens and like a son to him -- had been by His Eminence's side night and day for the past nine months. I was very moved to watch Nikos stay close to him right up until the very end . In his first days and months in Australia, the newly-minted Archbishop was often moved to tears by the Greek people so far from home. He totally dedicated himself to their needs and well-being...doubling down by saying that when the time came, he would be buried amongst them in Australia. And so before my very eyes it came to pass on Saturday, March 30, 2019, after nearly 44 years of service in Australia. 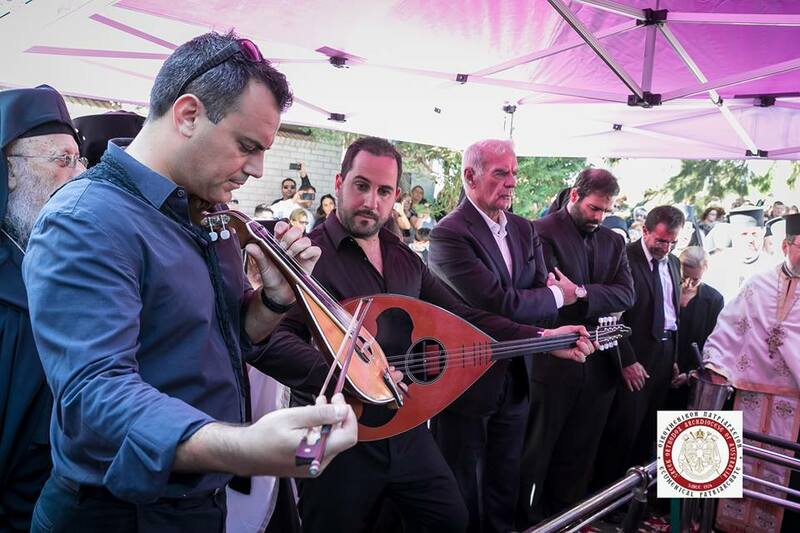 Stylianos Harkianakis' wooden casket was lowered into the ground at the Rookwood Cemetery in far-away Sydney (as promised). May his memory truly be eternal.